FAMILY Guy has once again been recognised for alluding to sexual misconduct, years before allegations were made public. Already, eagle-eyed fans have pointed out that the series referenced Kevin Spacey and Brett Ratner in the past - who have both now been accused of harassment or assault. 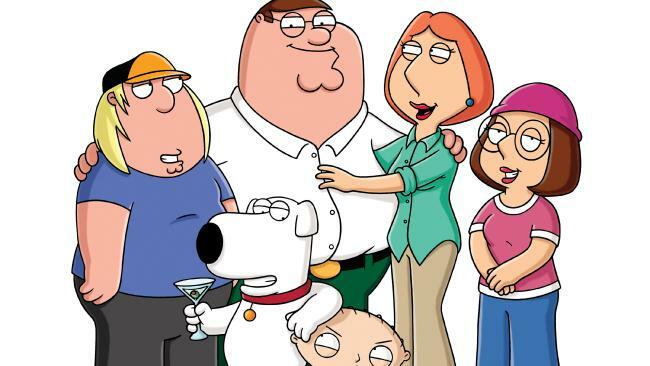 In the wake of allegations that X-Men director Bryan Singer sexually assaulted a 17-year-old boy on a yacht in 2003, yet another Family Guy clue has been brought to light. A joke in season 14 is now doing the rounds, in which the dog Brian refers to the director as a "perverted Hollywood predator". In the episode The Peanut Butter Kid, Stewie becomes an overnight celebrity after starring in a peanut butter advertisement. Brian warns Stewie that being a star at such a young age has its downsides: "There are tons of actors like this. They all started out just like you, but eventually they were destroyed by their parents' greed, drugs, or perverted Hollywood directors." Stewie then responds: "Oh - like Bryan Singer!" Family Guy creator Seth MacFarlane also called out disgraced movie mogul Harvey Weinstein back in 2013, years before dozens of women came forward to accuse him of sexual misconduct. After announcing the nominees for best supporting actor during the Oscars telecast, MacFarlane remarked: "Congratulations, you five ladies no longer have to pretend to be attracted to Harvey Weinstein." Once the news broke on the producer, and MacFarlane's old joke resurfaced, he released a statement explaining that he made the quip because a friend of his, actor Jessica Barth, confided in MacFarlane that she was an alleged victim of Weinstein's.